Inflatable safety buoy Safe4sport is a modern and functional solution for everyone spending time by the water. Regardless of whether you are training triathlon, swimrun, swimming recreationally through open water reservoirs, or going on a canoe trip, this buoy is for you. 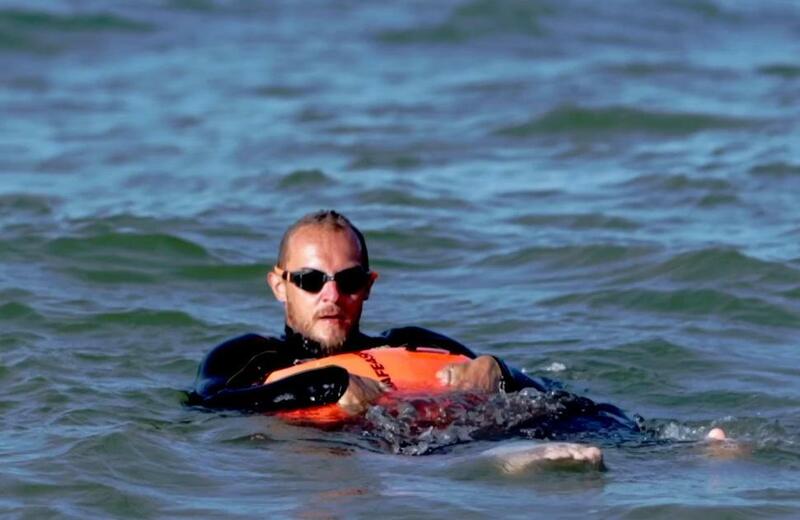 The basic function of each Safe4sport safety buoys model is to ensure safety. By using them, you can be sure that when you fall down with your strength or when you are caught by a contraction you will always be able to support it. 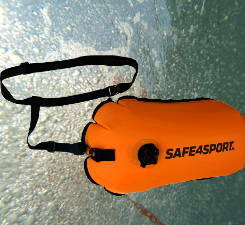 Safe4sport is always at hand, and its high buoyancy guarantees protection in every situation. With the buoys you can feel more confident and swim in the sea and the lake without any unnecessary risks. The bright color of inflatable Safe4sport buoys increases the visibility of people swimming in open water bodies, and this is especially important if boats, motor boats or water scooters move around the tank. MasterSwimmer inflated safety buoy with a dry chamber. Size XL. The most powerful of inflatable buoys available on the market. PerfectSwimmer inflated safety buoy with a dry chamber. PerfectSwimmer+ inflated safety buoy with a dry chamber. PerfectSwimmer inflated safety buoy with a dry chamber. Size M.
PerfectSwimmer+ L inflated safety buoy with a dry chamber. IronSwimmer inflated safety buoy with an open chamber. The best inflatable Safe4sport safety buoys.